Grinnell, IA – April 2012 – Oneida Siler City, which was acquired by Oneida’s predecessor company in 1996, utilizes 100,000 square feet of class-A manufacturing space in Siler City, NC. It has injection presses up to 950 tons, featuring various secondary operations, including decorative painting. The Siler City operation serves OEMs in the commercial vehicle, appliance and consumer electronics markets. Engineered Plastic Components (EPC) is based in Grinnell, IA and has 14 other facilities around North America. EPC serves a broad array of customers in the automotive, appliance, consumer and medical device markets. It offers injection molding, blow molding and various other manufacturing processes. 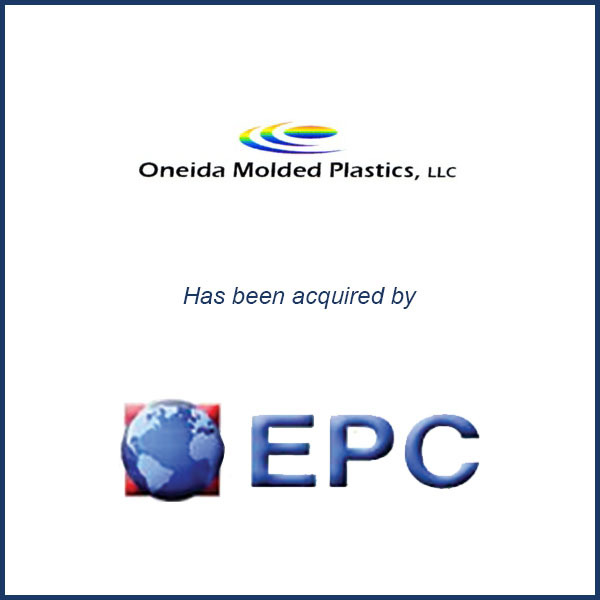 Molding Business Services acted as the exclusive financial advisor to Oneida Molded Plastics in connection with the April 2012 sale of Oneida’s Siler City, North Carolina operation to Engineered Plastic Components. Plastics News featured an article in respect to this transaction. Read the entire Plastics News article here.